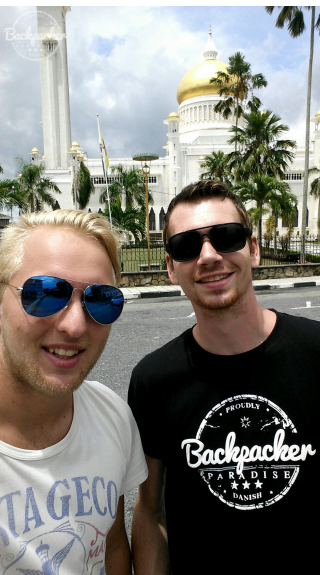 Right before I took off from Manila Airport I was lucky enough to find a couchsurfer willing to host me and my travel buddy Lasse in Brunei. JC, who hosted us, was head organizer on the World Championship of Performing Arts Showcase (WCOPA for short) in Brunei. 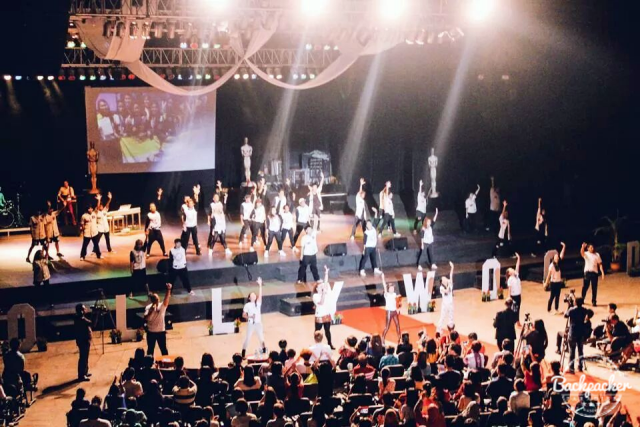 A show with a big line up of actresses and actors, dancers, singers, instrumentalists and bands who had been representing Brunei at the WCOPA in Hollywood. To be honest, Brunei is not the biggest melting pot on the planet and with a quick 2-day roundtrip in the capital Bander Seri Begawan we saw what there was to see (except for the sultan who was hiding in his palace). The main attraction in the capital is undoubtedly the Omar Ali Saifuddien Mosque built in a lagoon with a gold dome and marble minarets. And with a permanent ship-shaped building accessable via a small bridge. We visited Bangunan Alat-Alat Kebesaran Diraja better known as Royal Regalia Building. 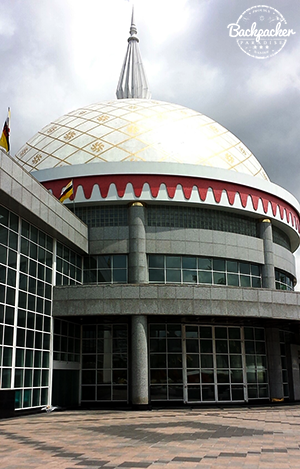 A museum with exhibits related to the commenmorations o the 25 years of Sultan Hassanal Bolkiah's rule of Brunei. Entrance was free. Not accessable for the public, but still worth driving past is the Royal Palace of the Sultan. Rightfully named Istana Nurul Iman. 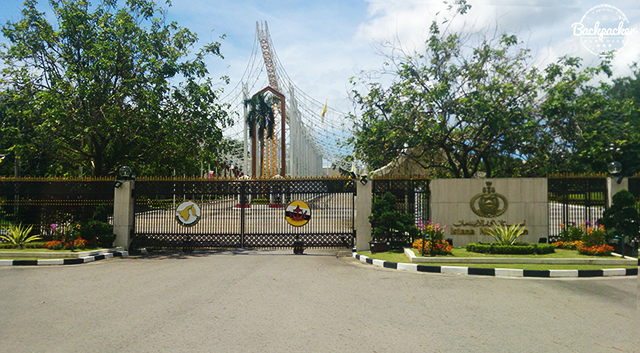 The palace gates gives a feeling, that this is probably the most luxurious place in all of Brunei. Speaking of luxurious places to live, the Kampong Ayer or Water Village was everything but that. Costing you a mere BND 1.00 per person with boat each way. 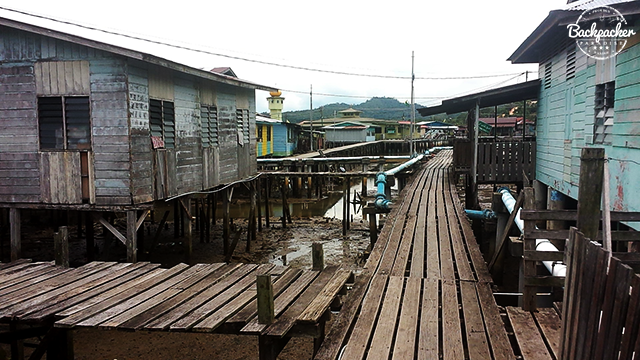 You're allowed to walk the streets of Water Village situated over Brunei Bay. Luxury is definitely not the first word, which comes to mind. 39,000 people of Brunei lives here, representing roughly ten percent of the nation's population. 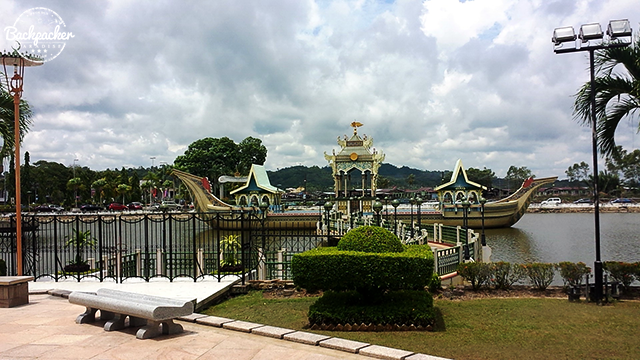 While we were at the Brunei Bay, we also caught a boat round-trip down Brunei River for BND 10 per person. 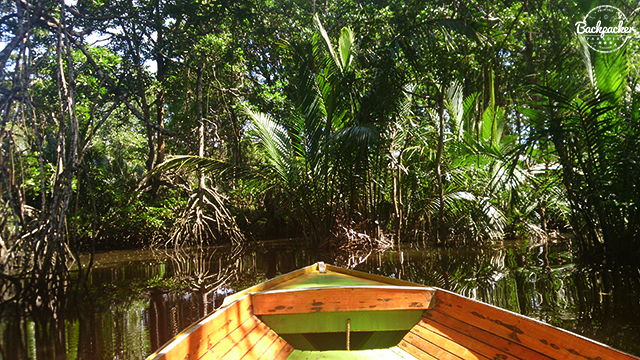 The ride was about an hour and took us for a small safari, spotting the rare nose monkeys. All in all Brunei has few but cheap entertainment options to offer. But Brunei surprised me in many other ways. I mean, I was expecting a muslim country of course, but I wasn't expecting it to be as quiet as it was. And it was quiet - extremely quiet. Almost empty streets in the capital and if you moved to the suburbans it was even emptier. Another surprise was the very friendly locals, who by the way speaks really decent English. And seemed to enjoy having foreigners visiting their country, though they all kept asking why we wanted to travel to Brunei. There is a 'but' about Brunei; they're implementing the Sharia Law. Implementation takes time though and I felt very safe staying in Brunei, yet I'm not sure whether the new laws will take effect in a near future or not. 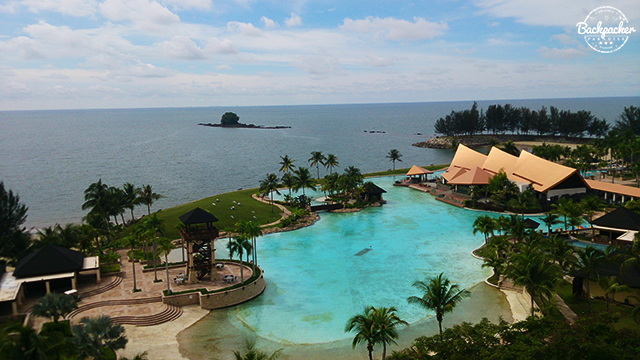 Besides the sights in the capital, we also took the time to visit the Empire Hotel and Country Club in Jerudong. An enormous a very luxurious hotel with suites, villas, six restaurants, indoor and outdoor pools and a private beach area. Visitors are welcomed and can walk the hotel and outside area freely. With two full days left in Brunei, we decided to offer our help to JC and his crew. Quickly we got enrolled in setting up the show and ended up controlling the spotlight for the final show, after meeting what I believe to be some of the best people Brunei has to offer. I left Brunei with a feeling that it would not have been such good fun, if we haven't met all the guys around the showcase. 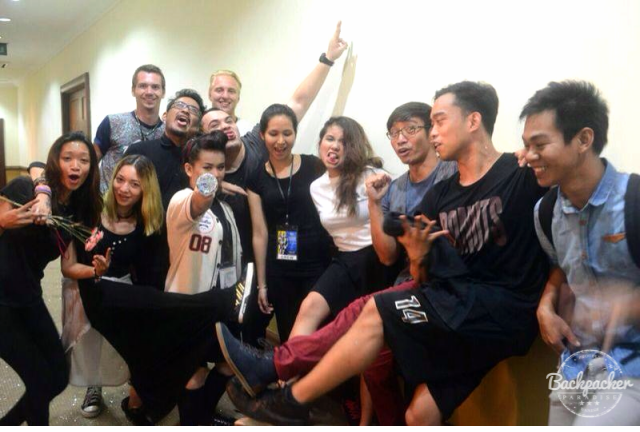 We got to met and work together with the team behind the whole shebang; JC, Vix, Dani, Najim, Patrick, Sophie, Iffah, Jay, Shinny and many more. All people who I wasn't expecting to meet in Brunei. 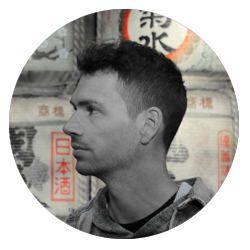 International connected people with open minds and a huge passion for entertainment - the lost melting pot of Brunei. They definitely made some noise in this awful quiet country.